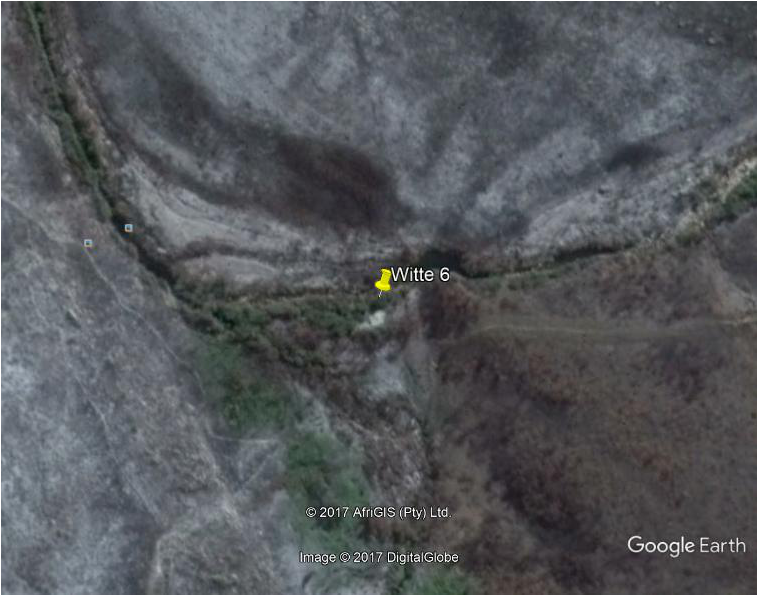 The Witte River flows through the highest valley of the Bain’s Kloof mountains outside the town of Wellington. This river holds a historical population of the Loch Leven brown trout strain which was introduced in the late 1800s and has not been stocked since. 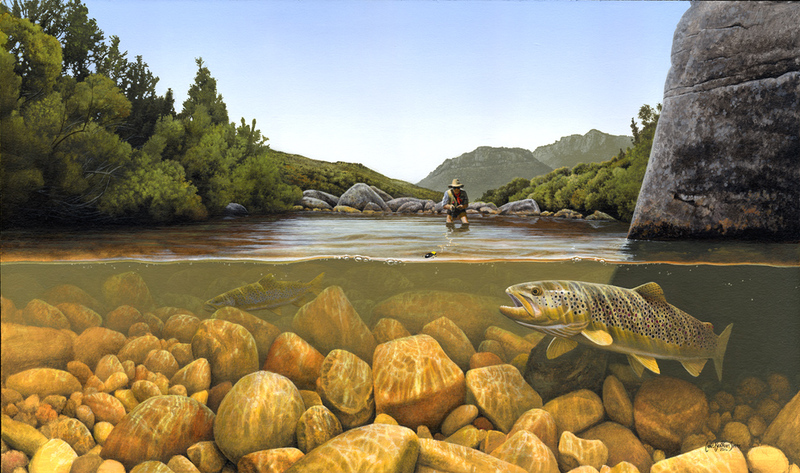 Although shy by nature and regarded by some as the most testing trout in the Cape, there is still a healthy population of brown trout in this river. Trout used to populate the entire length of the river but, due to higher summer temperatures and water abstraction, the majority of fish now hold in the top four beats as demarcated by the CPS. The Witte River is not the easiest river to fish, nor does it produce the most fish yet it is still one of the most prized CPS streams due to its crystal clear water and beautifully spotted browns. First-timers to the river should consider hiring a guide, or at least get some advice from a fishing companion who is familiar with the river. The trickiest part of this stream seems to lie in selecting the right day, weather-wise, and time of the year. Beat 1 starts at the Bobbejaans River junction in the Witte gorge and is accessed via a hiking trail that leads to the Bobbejaans. Or follow the river bed from where Beat Two starts, making your way down to the confluence. 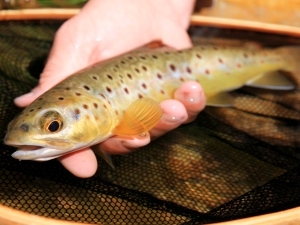 Fish the larger deep pools for the best chance of catching a big brown in early season. The rest of the year this beat is not recommended. Beat 2 is accessed by traveling downstream from the car park at Eerste Tol. The beat starts directly below the hiking trial accessing the Witte gorge at Eerste Tol. 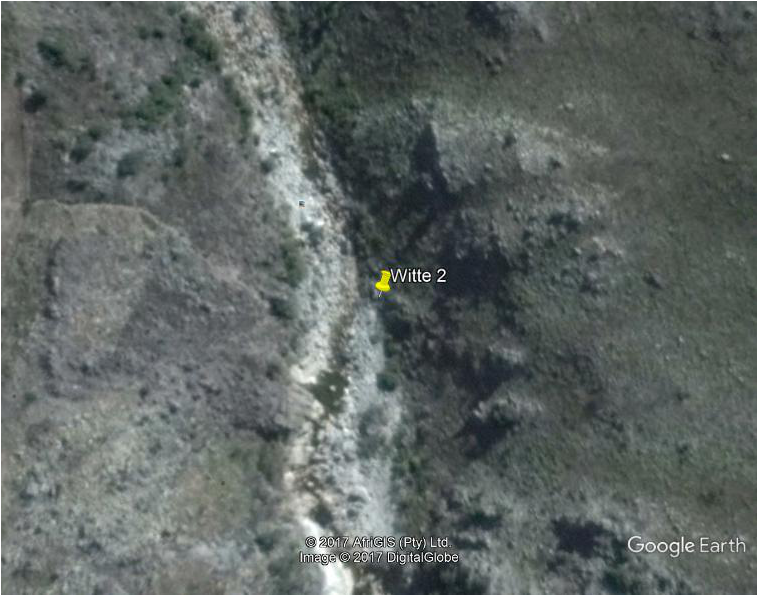 Hike up the Witte gorge and concentrate your efforts on the large, deep pools in the rocky terrain of this beat. Exit Beat 2 at the Hut Pool, where a path on the right of the stream will lead you past a wooden building (hiker’s hut). As with Beat 1 this beat is not recommended during most of the year. Beat 3 is an almost strictly an early-season beat, as the flow drops rapidly in the large boulder-strewn gorge in this section of river. 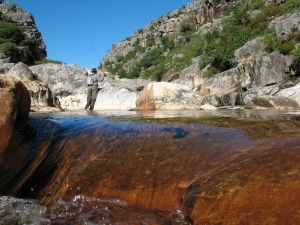 Large brown trout can be approached by “leopard crawling” along the banks of deep pools, where fish have a definitive habit of patrolling the margins and resting intermittently in shaded areas. Fishing in the company of another angler that sights the fish and instructs the cast is the best approach to fishing this beat successfully. Beat 3 is known to produce some large browns, with one large, almost impassable, pool named the Eight Pounder Pool, and it wasn't named that without reason. Beat 4 is probably the most challenging, and most rewarding beat on the Witte. The beat starts at the large weir above a steep section of the gorge. Fish this weir and then commence upstream until a smaller weir. The water between these 2 weirs is seldom productive outside of the early season. From here, concentrate on the palmiet enclosed pools in the open valley. These pools can be very rewarding. 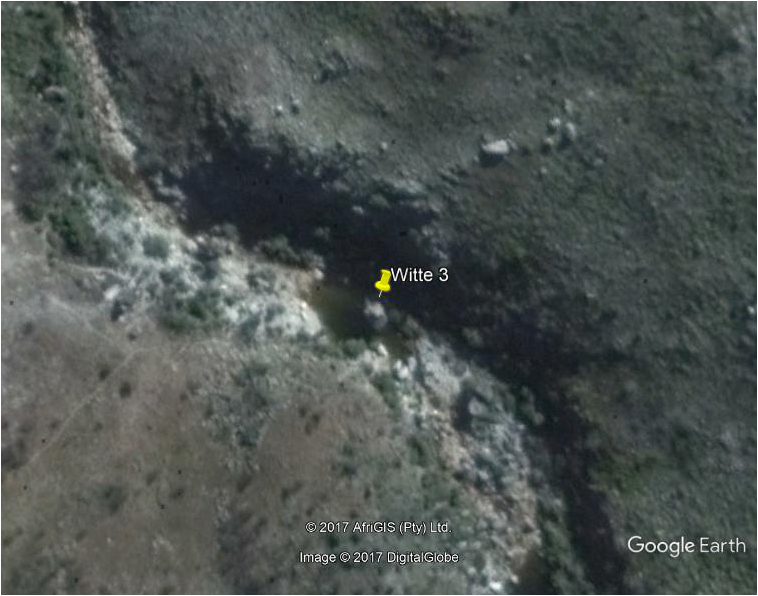 Above this open valley, a series of smaller pools will lead you to a large open pool with a quartzite bank on the right-hand side, where the largest of four tributaries joins the Witte in the upper valley. 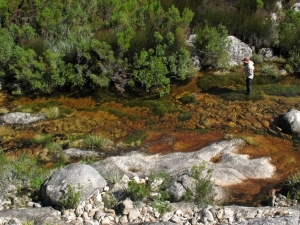 Some memorable fish have come from the lower pools of this tributary and it is certainly worth a cast. This stream will also be your exit point and the end of Beat 4. Beat 5 is one of the most scenic beats on the Witte. The beat starts at the confluence of the Witte and its largest tributary. 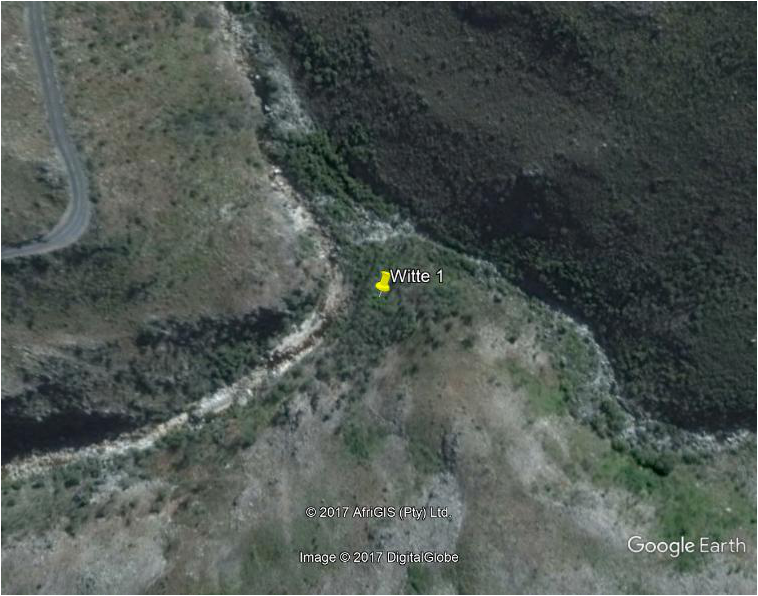 Beat 5 starts off with of large, distantly spaced pools, hidden amongst dense fynbos and palmiet, However, higher up, the vegetation thins out to allow better access to these lovely pools. At this point a slow, careful approach is required to avoid spooking the skittish trout. 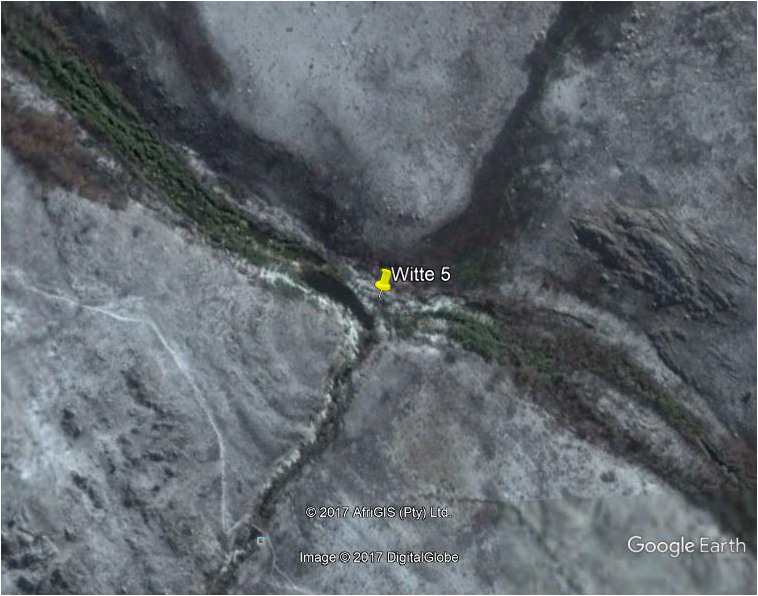 Beat 5 finally ends beyond several long pools stacked on top of each other at the confluence of the small tributary that forms the barrier between Beats Five and Six. A narrow footpath on the right, facing upstream, will lead you back onto the trail that joins the jeep track to Eerste Tol. Beat 6 is the highest fishable stretch on the Witte River. 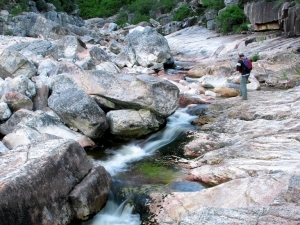 It is seen as ideal small-stream territory for ultra light fanatics (000 - 2wt rods). The beat starts, at the confluence of a smaller tributary, with several large pools. 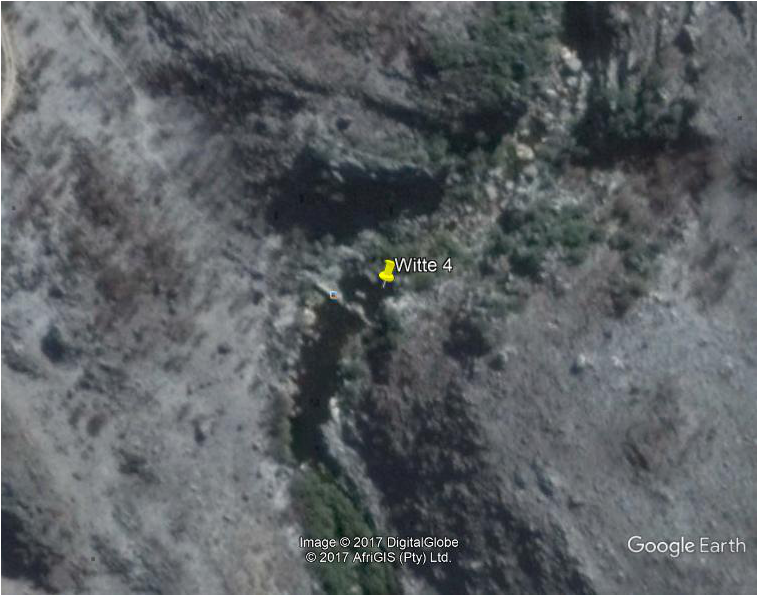 As you continue upstream the pools become progressively smaller and further apart until the beat ends at a prominent bedrock pool with a waterfall. 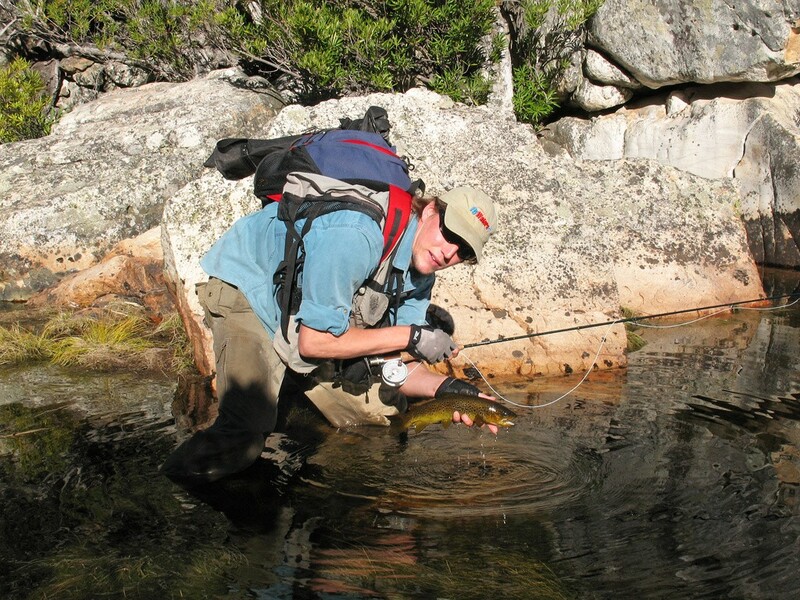 Although the fish encountered in this stretch of water are generally smaller, they are plentiful and the opportunity of hooking a trout between 14 and 18 inches is still there. Fishing Beat 6 requires a high level of fitness as large distances are covered on foot.